Fresh from university, eager to escape a dead-end job, she launches a career as a writer in a publishing culture dominated by London cliques and still figuring out the impact of the Internet. She navigates the treacherous waters of a world where, even in the liberal and feminist media, transgender identities go unacknowledged, misunderstood or worse. Yet through art, film, music, politics and football, Jacques starts to become the person she had only imagined, and begins the process of transition. 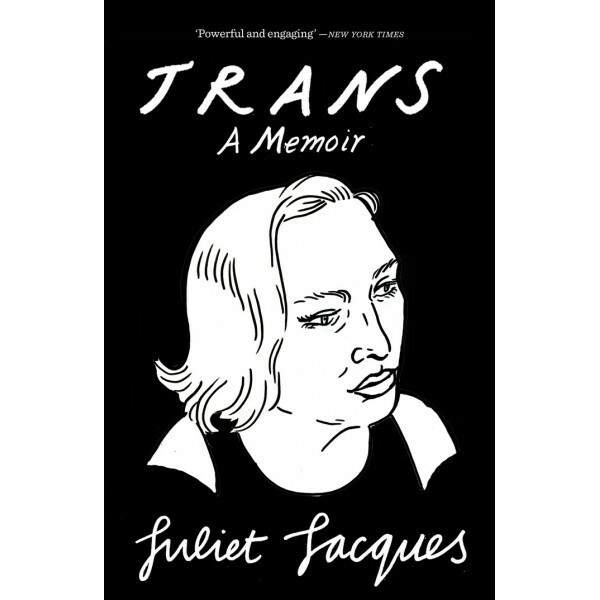 Interweaving the personal with the political, her memoir is a powerful exploration of debates that comprise trans politics, issues which promise to redefine our understanding of what it means to be alive. Revealing, honest, humorous, and self-deprecating, Transincludes an epilogue with Sheila Heti, author of How Should a Person Be?, in which Jacques and Heti discuss the cruxes of writing and identity.